Quarter-sized shell pearl floats amongst the oxidized silver angles. 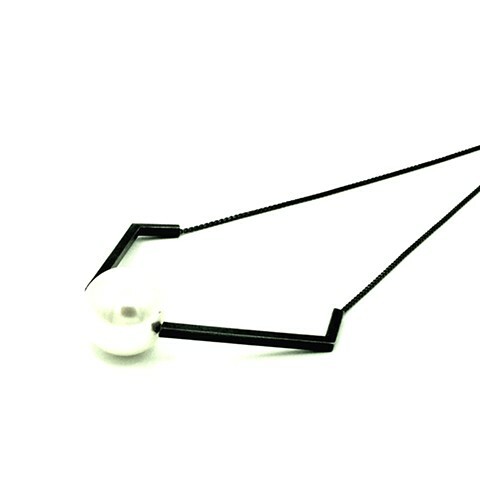 This necklace has a small slider on the square box chain that allows for great adjustability. Wear it as a choker or below the heart. Dramatic, near-gothic, and definitely powerful!